Join CTV's Robby Williams and TSN's Bryan Mudryk for this years 100K! Cycle, run, walk... orjust come out and provide moral support - whatever you're able to do to participate is encouraged! 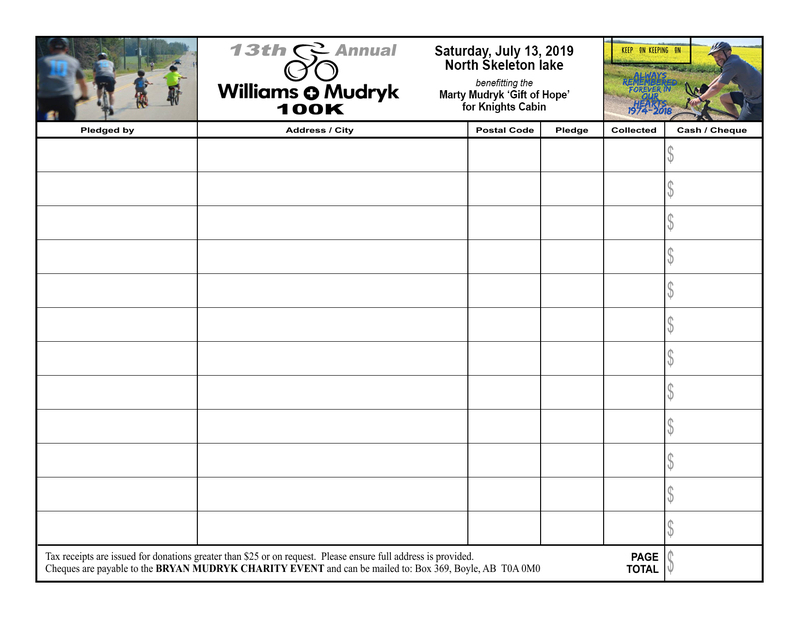 Download a copy of the Williams & Mudryk 100K Pledge Form and jump on board today!